Berlin act GHEIST have made a huge impression since releasing their debut record on Exploited in 2016. Now with regular appearances at Watergate and various summer festival gigs under their belts, three releases on Exploited and a couple with Sasha’s Last Night On Earth as well as a collaboration with HOSH (‘The Watergate Affairs’), they are poised as one of the most promising acts of the current wave. This mesmerising new three-track EP only serves to strengthen their claim. 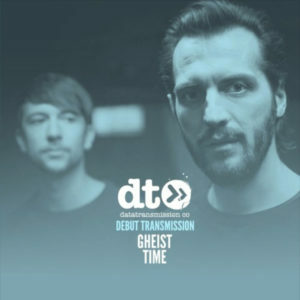 Our debut transmission ‘Time’ completes this sublime package by way of swirling chimes, throbbing monotone bass and analog bleeps, building up a heady wall of sound before a trademark GHEIST vocal lifts the track into unchartered territory. The sombre tone recalls Depeche Mode, and the idea to use the vocal in the breakdown alone only gives it more impact. It’s also a reminder that this trio bring an element of live electronica and instrumentation to their studio sessions.